Great photos! 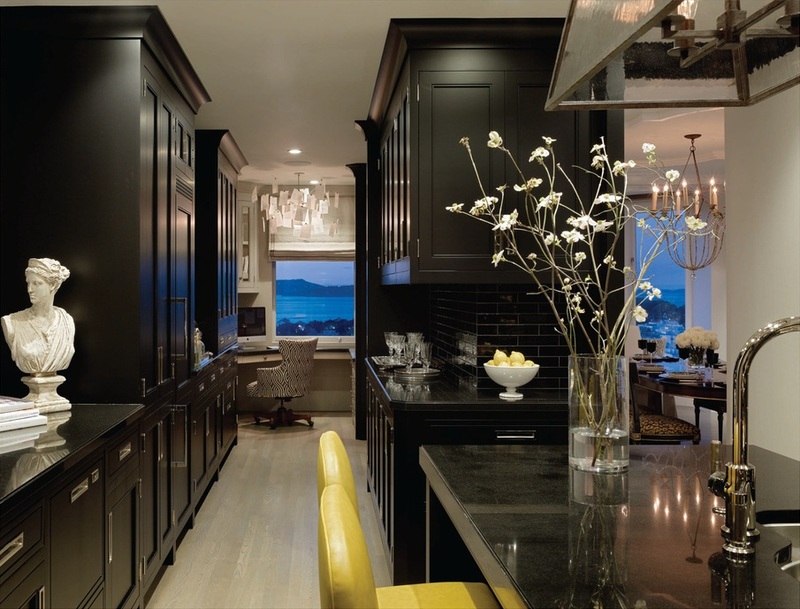 I'm a huge fan of black or "almost" black paint in the home…on furniture, built in cabinets or anything else that seems fitting! SO gorgeous!!!!! Black does it every time, to me a room with even a touch of black is kicked up a notch, it does the trick every time. Hello Vera, This dinning room is stunning and the dramatic kitchen is gorgeous.